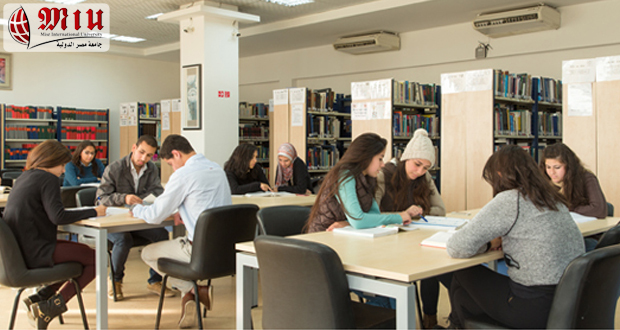 MIU Library aims to be one of the leading academic libraries by providing a huge collection of printed and electronic resources to enrich the learning and research experience within the university for today and the future, implementing innovative technologies and services to deliver information and electronic resources wherever and whenever it will be convenient to its researchers. The library’s mission is to provide full resources and services to meet the needs of both faculty members and students by providing good support to learning, research needs and information services, and to ensure that our services are accessible to all the MIU community. The library aims to regularly increase its collection through the combination of printed and electronic resources to enhance the learning experience of students.